BEHOLD! The most beautiful nail polish of 2018 (and quite possibly, ever!) – Cirque Colors Dusky Skies. 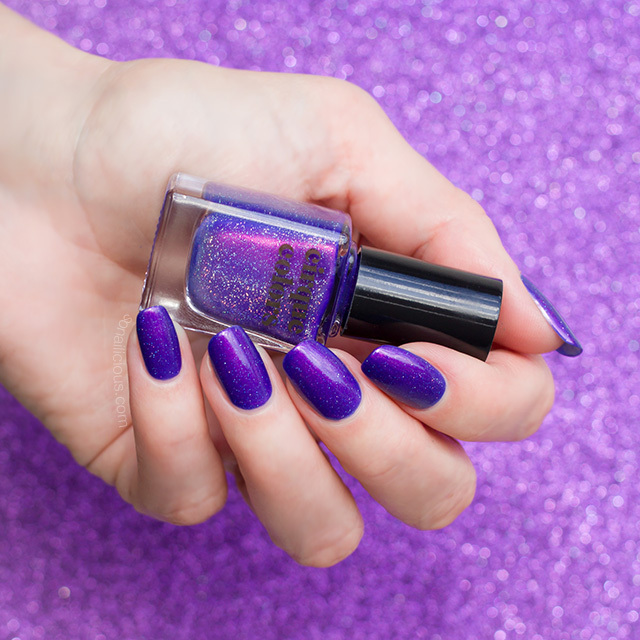 This stunning deep blue-violet duochrome lacquer with holographic effect won hearts of many nail art warriors, which is not surprising. It’s truly one of a kind! The colour is so rich and vibrant, yet it looks very flattering on and the holographic particles produce just the right amount of sparkle to make it look gorgeous rather than over the top. I’ve been a huge fan of Cirque Colors for quite sometime. Annie (Cirque’s owner and founder) is always coming up with unique and beautiful colours, instead of just following the trends. But their new collection Desert Bloom packed with unique lacquers, including Dusky Skies, is just mind-blowing! So if you think you already own every possible nail colour, check out Desert Bloom, it will prove you wrong. Now let’s enjoy the beautiful Dusky Skies, and for more technical details, read my review below! Formula: Cirque Colors Dusky Skies’ formula is 3-free and cruelty free. It’s not very pigmented and on a sheer side. To achieve full opacity you need at least 3 good layers. 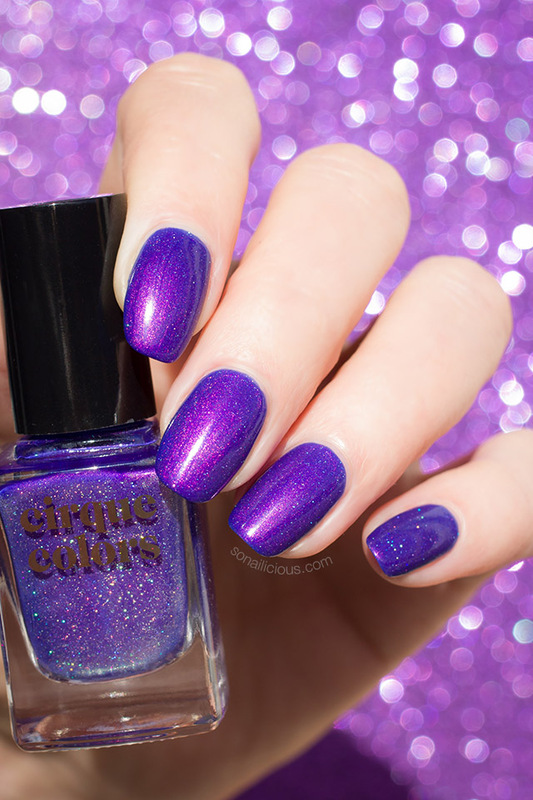 Even though Cirque’s site states Dusky Skies is fully opaque in just 2 coats – 2 coats is not enough. Application: It was relatively easy to apply, but you’d need 3-4 coats to get it fully opaque or wear it over dark blue or purple creme. Also, after swatching so many nail polishes you begin to appreciate a great wide brush, like Dior and Kester Black have, which makes application so much easier. 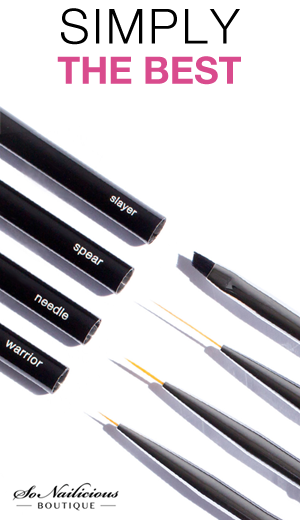 Cirque’s brush is just the old school thin brush like Essie used to have, which is ok, but it definitely could be better. Finish/Colour: Cirque Colors Dusky Skies is a semi sheer duochrome nail polish with vibrant pink shimmer and holographic particles. The extra fine holographic particles shine it’s brightest when exposed to bight light. 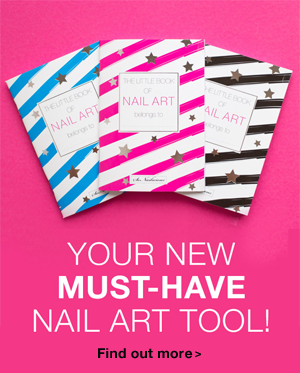 Nail Art: Best used as a base for nail art or for gradient manicures. 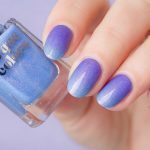 Dupes: There are absolutely no dupes for Cirque Colors Dusky Skies. I’ve never seen anything like this before! Wearability: Long-lasting, it lasted 6 days with a top coat. Extra Notes: it’s a dark nail polish and may stain your nails. To avoid it, make sure you apply a protective base coat before applying nail polish. I’d suggest to use Mavala Barrier Base Coat to avoid staining. Where to buy Dusky Skies: here $12.50 per bottle. I’m in love with Dusky Skies! Perfect for any season and any occasion, this incredibly beautiful nail polish is definitely joining my all time favourites list! 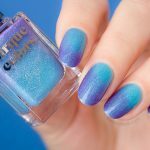 What do you think of Cirque Colors Dusky Skies? 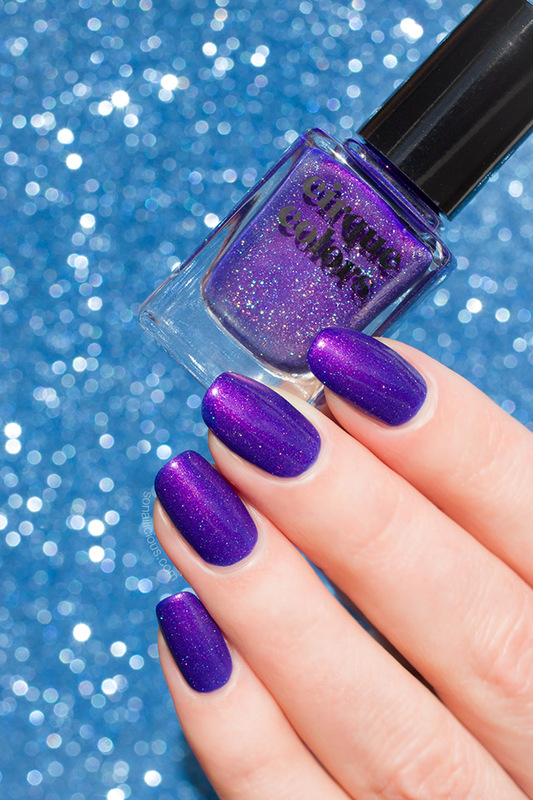 Do you agree it’s the most beautiful nail polish of 2018 so far? If not, what’s your most beautiful nail polish? Share in the comments below, I’d love to know! 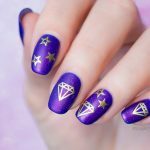 Purple Nails With Diamonds for a Night Out. Plus, How-To!